When you live in a small home, you don’t usually have the space to fit a table that will accommodate a large dinner party. Maybe you have enough room for your small dining table, but you use the other space for things like a work area, seating or storage. 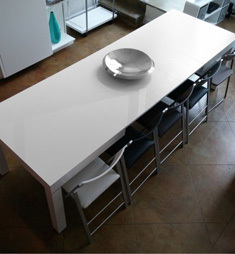 The high-gloss finish on this table makes it a truly striking piece. 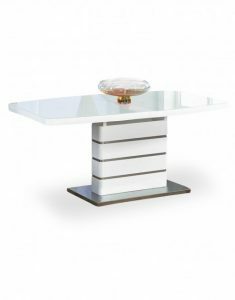 You can use it as a small dining table for four, or it is stylish enough to use as an entry way table, side buffet or professional working space. The glossy finish also reflects the light in the room, which can make it look more open and more inviting. You can easily expand the table by pulling the two side of the top apart and placing an eave in the middle. When the table is expanded, it can seat up to 10 people, which is perfect for a cozy dinner party. The Opulent White Glass Extendable Dining Table will retain its gorgeous style, which will help you make a real impression on your guests. Sometimes, you need a lot more room at the dinner table, such as when you are hosting the holiday dinner for your family. Yet you don’t want to have to house a giant table that can fit that many people in your dining room every day. You won’t have room for much else, and the table won’t be full for the majority of the time. The Juggernaut Extendable Dining Room Table solves this problem. The simple table seats four to six people when it is in its base form. 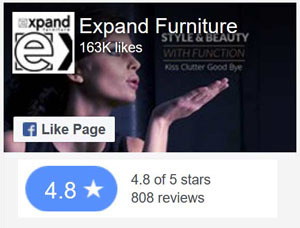 But when you expand it, the table can seat up to 18 people. That impressive capacity is achieved by pulling out the eaves from each side. The eaves and legs are tucked neatly into the existing design. You don’t have to unfold anything, pull any extra parts out of storage, or do anything else special. Just grab and pull. The table is beautiful in its simplicity. It has clean lines and no ornate embellishments that detract from the design. The table comes in three natural wood finishes to match your décor. You may not need to fit 18 people for your big feast – and you may not have room in your home for 18. The Mega Abode Extending Table gives you room for 14, which is appropriate for smaller families who are gathering for birthdays, holidays and other special events. Just like The Juggernaut, The Mega Abode Extending Table has a simple design that will fit in with just about any décor. The legs pull out easily, and the eaves flip over and fill the space. You don’t have to struggle to extend the table when you need the extra dining space. Two wood finishes are available. 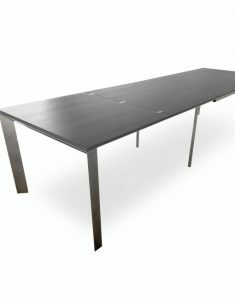 If you are working with even less space, you might consider The Pillar Extending Dining Table. It can extend to seat up to 12 people, which is enough for a good sized dinner party or family gathering. The table offers flexibility in sizing since it has three different eaves. Just use the number you want to get the size you need. The glossy white finish stands out to create a beautiful look for the table. The neutral color also means that you can match the table with any chairs and any color paint or other décor. 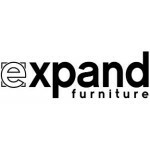 Expand Furniture offers a variety of extending dining tables that are perfect for small spaces. Even if you don’t have a lot of square footage, you can use one of these or our other small space dining room tables to accommodate larger gatherings when you want to have them. 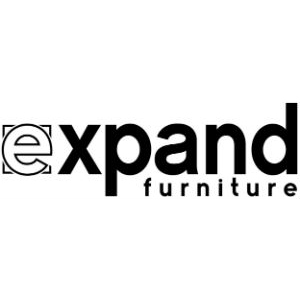 We also have transforming coffee tables and desks that can convert to dining tables as needed. 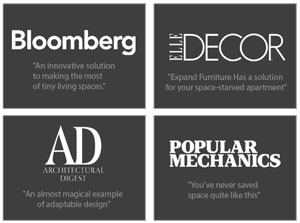 Explore our online catalog to learn about all of our great space-saving furniture options.